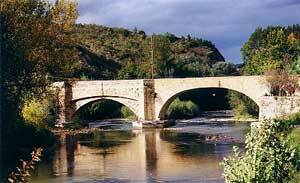 Come to the beautiful Aude in the Languedoc of France for your holiday. 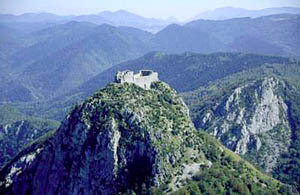 We are in the foothills of the Pyrenees with a delightful landscape all around where magnificent views are plentiful. 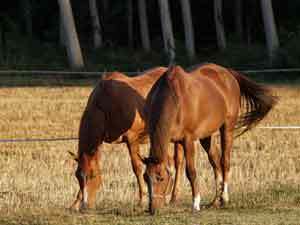 At Domaine de Luzenac we do bed and breakfast (chambres d'hôte) and we also have a gîte. Within very easy reach by bicycle or car there are delightful French villages, many with restaurants and cafés. On only a slightly longer run there is the Mediterranean with beaches and seaside towns and villages. In the winter there is skiing in the Pyrenees and in the summer there are eagles and vultures to be seen in the mountains. Throughout the Aude there are Cathar Castles from the Albigensian Crusade including the famous castles at Puivert, Peyrepertuse and Montségur and some, like the old Cité of Carcassonne, have been very well restored. In fact the old cité may look familiar as it has featured in many films including a recent Robin Hood movie you may have seen. So our chambre d'hôtes (bed and breakfast) or gîte are ideal to use as a centre for cycle touring in France. But also this is a perfect place for a fishing holiday with many options including several trout rivers and also lake fishing available in the area. Yet further, there are numerous hill walking possibilities; if you like hiking, there are many long trails. If you like legends and mysteries, Rennes-le-Château with its museum and the famous church built by the Abbé Saunière with its link to the da Vinci code is fascinating. Whatever attracts you, at our gîte and bed and breakfast (chambre d'hôtes) you will be sure of a warm welcome in the peace and quiet of the Aude countryside.